It seems the best ideas are always born on the backs of napkins, and this one was no exception. Mike and Amy Lesakowski were tired of sitting idly by as cancer impacted their lives. 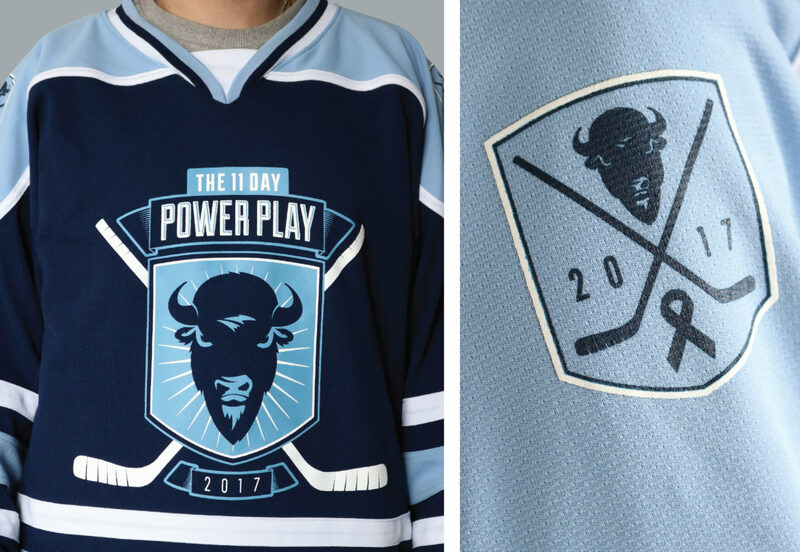 They decided to combine their drive with their love of hockey, and a game-changing idea was born. They decided to break the world record for the longest hockey game and, in the process, raise money for cancer research. 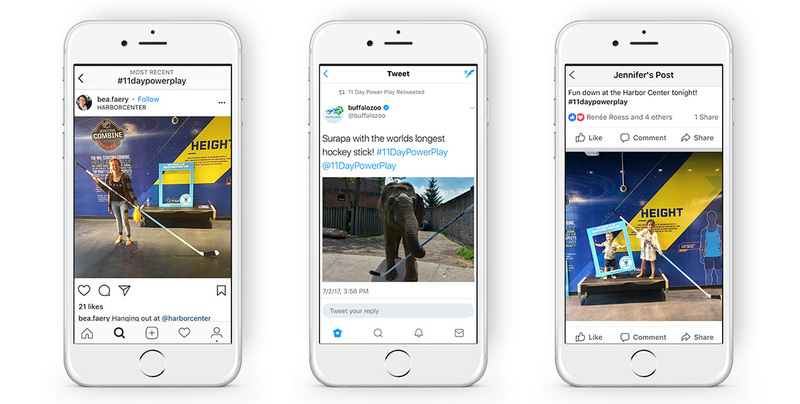 So when they came to Crowley Webb for help bringing this idea to life, we couldn’t say yes quickly enough. 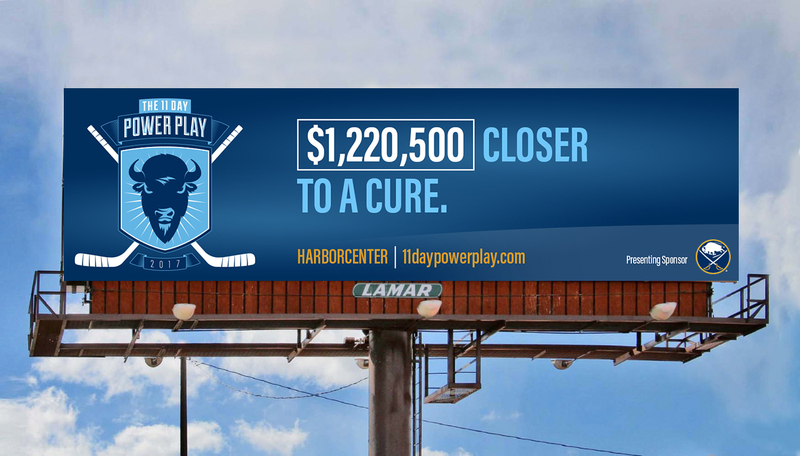 Mike and Amy had no trouble recruiting 40 fearless players to take the ice for 11 days straight with the lofty goal of helping raise $1 million for Roswell Park Cancer Institute. 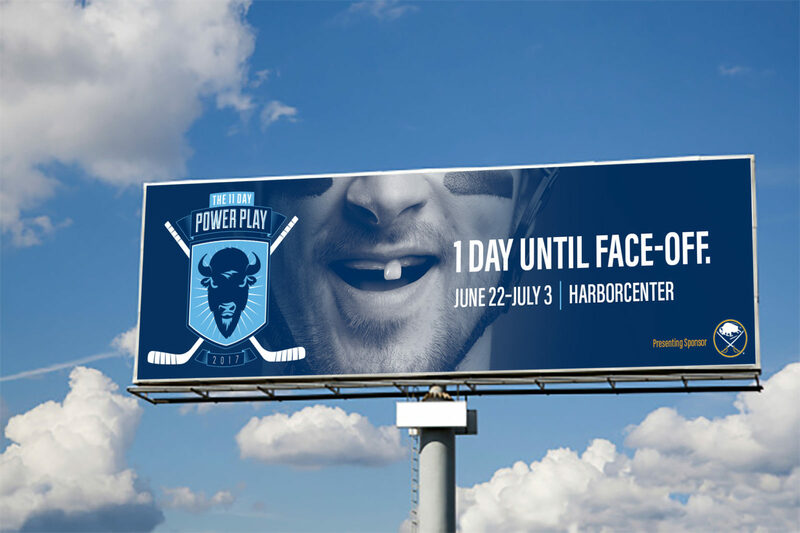 And we went to work creating the perfect name – the 11 Day Power Play – and then came the logo. But the fun didn’t stop there. 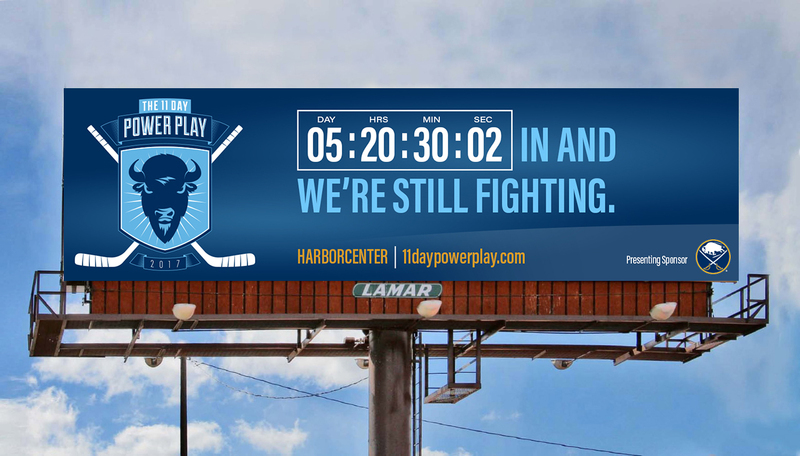 We stayed on board to see the 11 Day Power Play through face-off, helping out wherever we could. 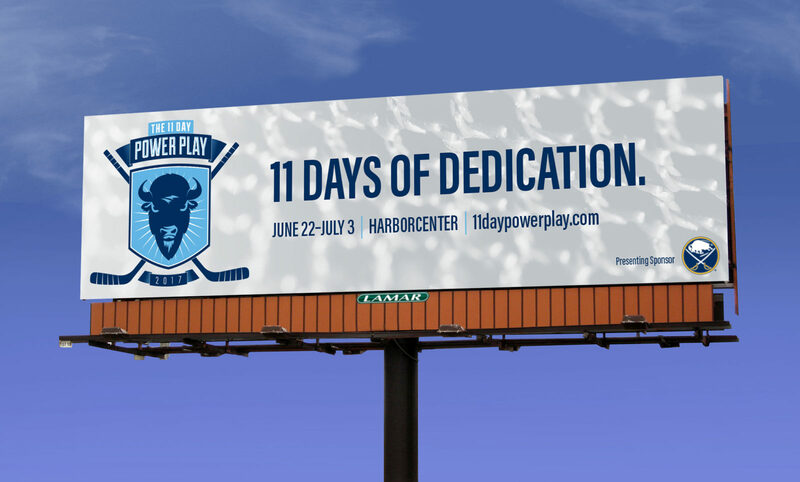 This included offering our social media expertise with a content strategy brainstorm, designing event collateral, and creating a campaign of digital billboard and print ads promoting the game. 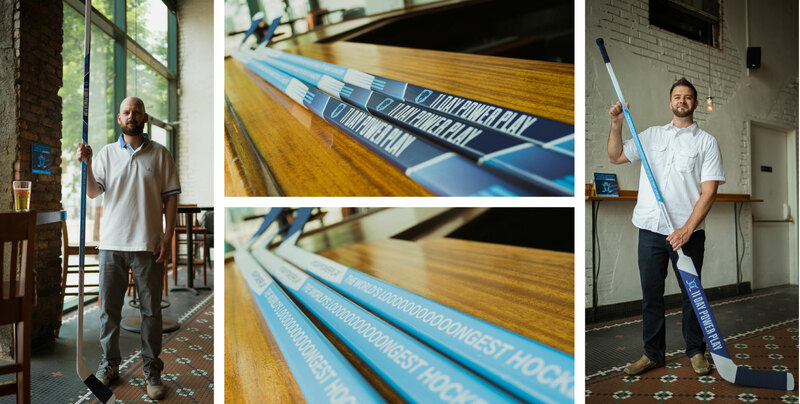 We even conceived and created extra looooooooooong hockey sticks that traveled around town. 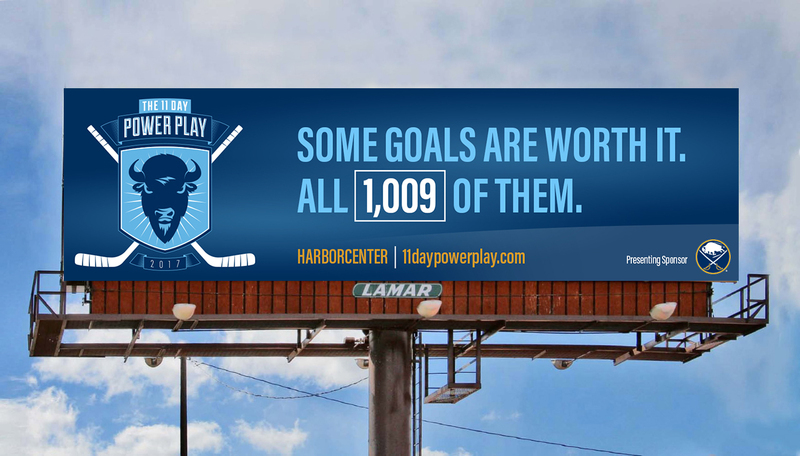 To say that the 11 Day Power Play was a success is an understatement. The event raised its goal amount of $1 million before the puck even dropped. And the game itself? 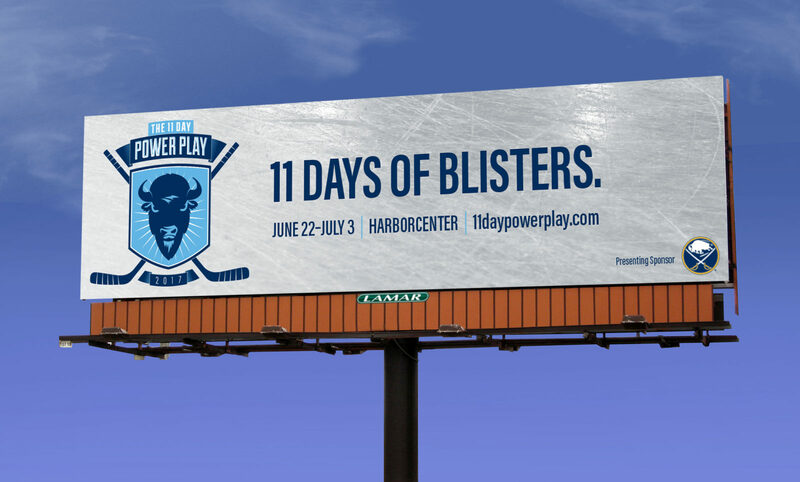 Well, those players were true warriors, dealing with fatigue and injuries few of us will ever know. But when the final horn blasted and the record had been broken, they were rightly so on top of the world. 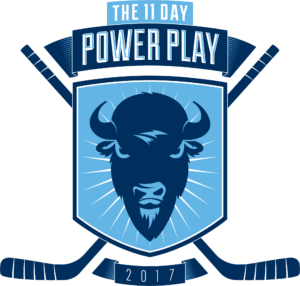 The 11 Day Power Play was a true community effort like we’ve never seen before. 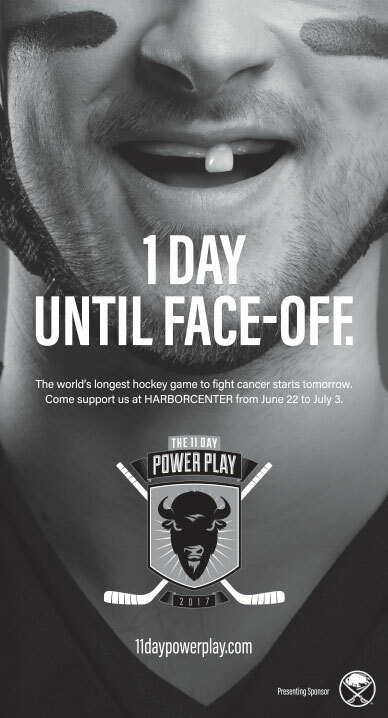 And we’re humbled to have been a part of this event that earned more than $3 million in total ad equivalency; was recognized by major television networks, including ESPN, the NHL Network, and CNN; and, most important, raised more than $1.2 million for cancer research. 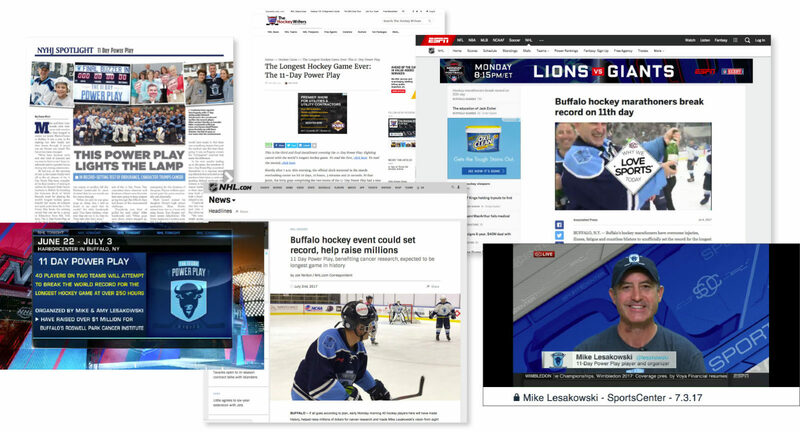 Hats off to the dedicated players and everyone involved in setting the new record for the world’s longest hockey game. 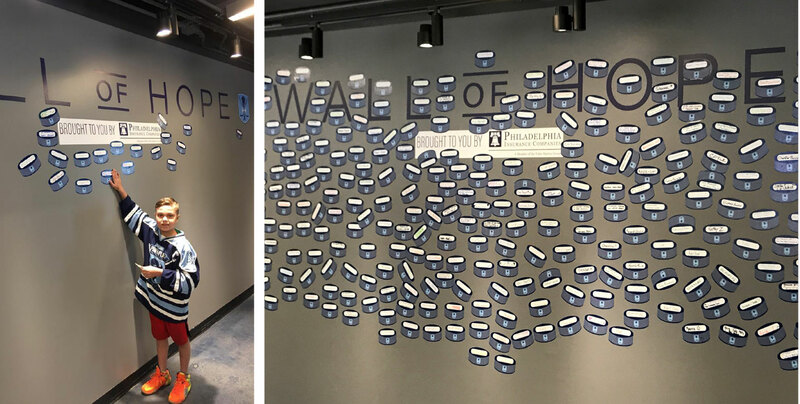 And thank you for offering inspiration to so many. One hell of a napkin, huh?